Again we are reminded that ignoring families experiencing mental health crises is dangerous. Please urge your congressional representatives to support H.R.3717 - "Helping Families in Mental Health Crisis Act." The current health care system does not usually act to treat someone unless he/she PROVES through violence to be a danger to self and others. That may help prison investors, but it does nothing to save taxpayers' money, increase community safety, or restore sick people to wholesome lives. Too often, proof comes in bloodshed, which is unfair to the sick people as well as to the community at large. Like Sen. 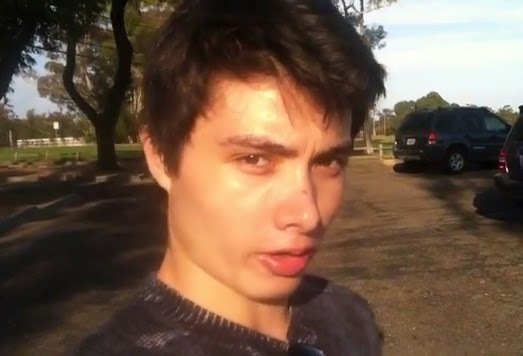 Deeds, of Virginia, and many other families, the UC Santa Barbara shooter's family had sought help for Elliot Rodger. They warned police about his threatening messages, but their concerns about Elliot's deteriorating mental health were apparently ignored. May Elliot and his six victims rest in peace. Condolences to families and close friends of those whose lives were tragically and unnecessarily lost. We hope for a speedy recovery for the injured. God bless us all. Details about the shooting that have been released to the media are being reported by LA Times. This article will be updated as names of the victims are released and more details are made available. The link below leads to news reports by the Times. I go through so much to publish articles that promote positive change in how America responds to mental illness. We MUST prioritize treatment and relax commitment laws to make it possible for families in crisis to get help their loved ones need BEFORE tragedies. Treatment that precedes crimes will reduce your prison profits, but I urge you to do what is right, not what is expedient or most profitable. My mother sat up many nights during Larry Neal's crises to protect our family and neighbors. My brother Larry was a good person, but he had paranoid schizophrenia. Serious mental illness sometimes causes people to act very irrationally; occasionally, they may act violently. Larry never hurt anyone, but Elliot Rodger did. How horrible for him, his victims, and the families of those whose loved ones are dead, injured, and traumatized tonight. I feel that if I were not so heavily censored, we might be having another conversation right now. You can help by sharing my articles at Dog Justice for Mentally Ill. 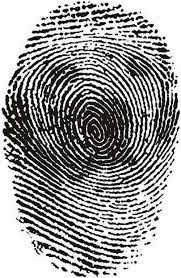 In the final analysis, Elliot Rodger and six other people near UC Santa Barbara lost their lives for the same reason as the Darrin Rainey, a Florida inmate, and Jerome Murdough, a homeless New York inmate, and this writer's brother, Larry Neal, a Tennessee mental patient, and Gus Deeds, a Virginia mental patient: The system awaits a crime to excuse arresting the mentally ill rather than treating people timely and avoiding disasters. See the index that should appear on the right side of the blog. Sometimes stalkers move it as censorship in order to keep placing prison profits before human beings without your objections. Thank you in advance. It would be illegal to keep a dog in a tight space 23 hours a day and gas or Taser him for barking. It would be illegal to put a dog in deadly restraint for control. But this happens to mentally ill Americans routinely in the nation's jails and prisons after they are denied treatment and suffer arrests for behavior they may not even remember. What happened to Larry Neal? Mentally Ill Americans Need Dog Justice. Treat mental illness medically, not legally. Advocate for U.S. Congress to pass H.R.3717 - Helping Families in Mental Health Crisis Act. Elect people who promote justice for all. Waiting for sick people to prove they need help leads to tragedies. Please help families in mental health crisis. Ignore them, and the family in crisis could be your own.